Sterling Silver Photo Heart Locket makes a perfect gift for your loved one for Christmas.Enter to win one for your very own to keep or to give to one of your loved ones. 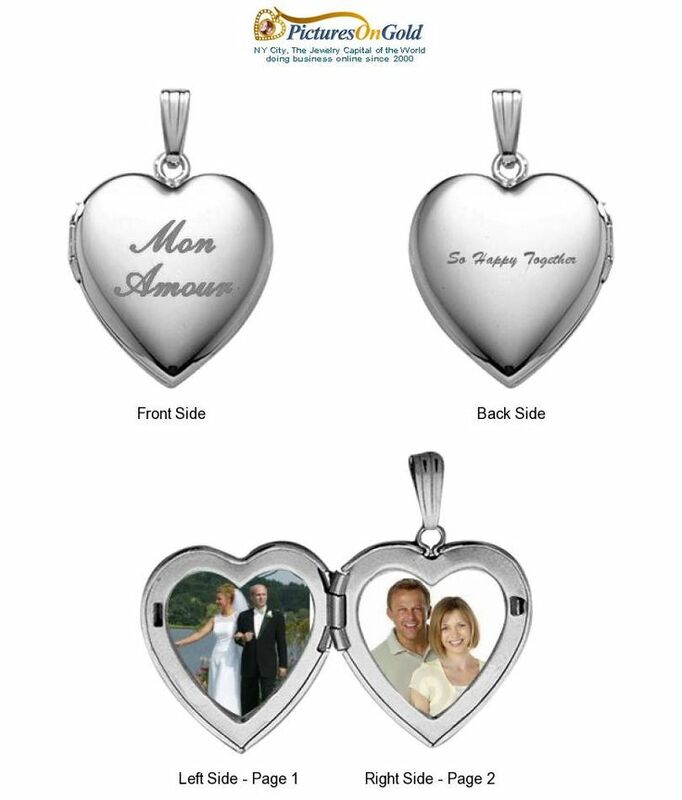 In October of 2013 PicturesOnGold.com launched a “Design your Own Locket” application that allows customers to actually see the exact finished product prior to purchasing. First you select from 1000’s of front designs which range from decorative hearts, Nationality symbols, hobbies and more. Then you upload your photos and resize them as you wish to fit perfectly inside the locket. Next, comes a personalized engraving option which allows block or script writing, all being designed in front of your eyes. Then you can preview the final product exactly as it will appear when it arrives to your home. Now for the giveaway: One lucky person will win a Sterling Silver Photo Heart Locket. This is open to US & CAN, 18+ and ends 11/27/2013 @ 11:59 pm est. To enter, Simply do the tasks on the Giveaway Tools widget below and you're set to have a chance to win! Remember you can't win if you don't enter. It only takes one entry to win!